Port wine tasting is what I enjoy most of all in Porto. The best place to try port? Visit the famous port houses. Fun, informative and tasty if you are in Porto. Brands like Sandeman, Offley, Graham’s, Kopke and Taylor probably sound familiar. At the Vila Nova de Gaia, the port houses are close together. 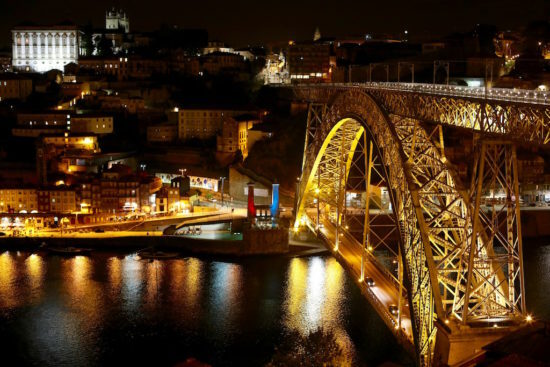 Here, from the Cais de Ribeira, on your left of the beautifully lit bridge, Ponte de Dom Luís I, you see the well-known Port brands on the other side of River Douro. Next to lots of different port wines, they also have a lovely Douro wine which I encountered earlier in Madeira. Sure enough, this organic wine in the well-stocked wine shop caught my eye. 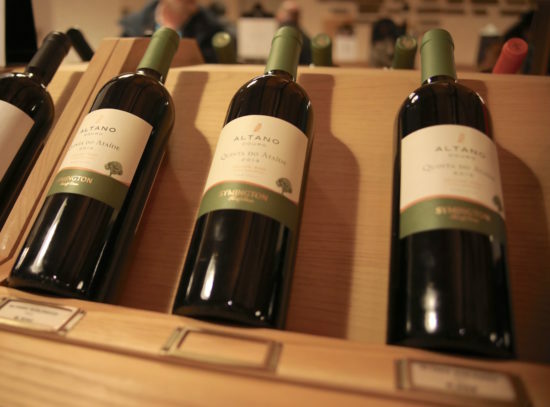 During dinner, we had the Altano wine again. This time in a glass. So delicious! 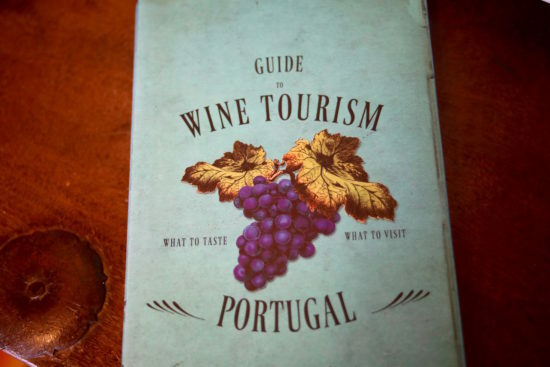 During a guided tour you will learn the ins and outs of port wines. What is the difference between Ruby and Tawny Port? Ruby Port is fruitier and in my opinion, has a more dominant, sweet taste. Tawny Port is often higher in tannin because the grapes have a longer ripening period. This gives a vague colour and a milder taste. About three times every 10 years the harvest is extraordinary. This high-quality port wine is labelled as vintage. 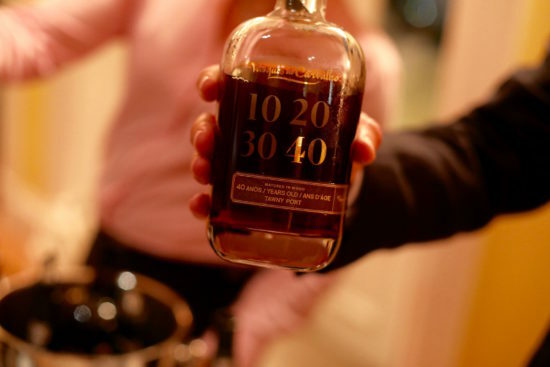 Vintage Port matures up to three years in oak barrels and matures further in the bottle. Colheita Port is the port wine from grapes of a single harvest year. Just like sherry port, it is usually a blend of several vintages. There are about 200 to 250 grape varieties that are used for port wines. Some well-known grapes are Touriga Nacional, Touriga Pranca, Tinta Barroca and Tinta Roriz. Port is a fortified wine and the alcohol content is increased by the addition of brandy or wine alcohol. 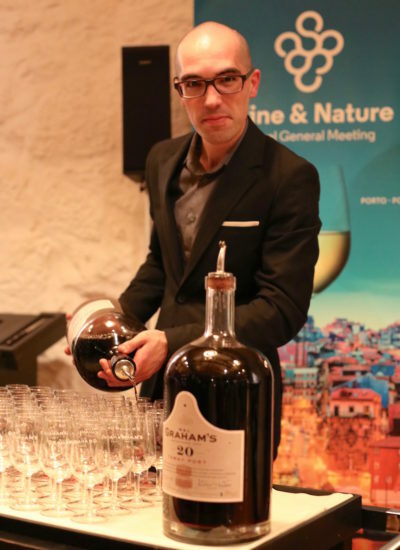 As with sherry, where the alcohol content is slightly lower, the alcohol percentage of port is about 19-20%. Another similarity with sherry and champagne is that port always originates from a particular geographical area. Otherwise, it may not be called port. Most port houses are owned by English families. Port is created by adding brandy. 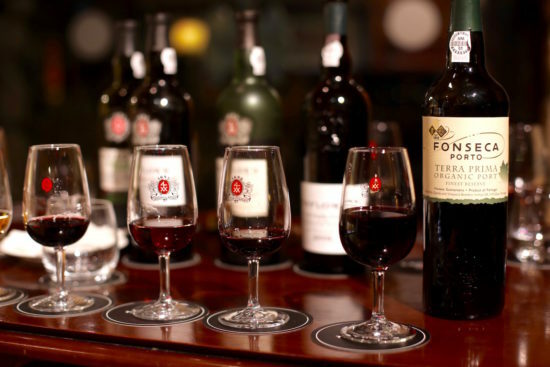 Due to the higher alcohol content, port wine could be transported to England. Still, many English people are Port lovers. I visited Taylor’s Port house because I was looking for an organic port. 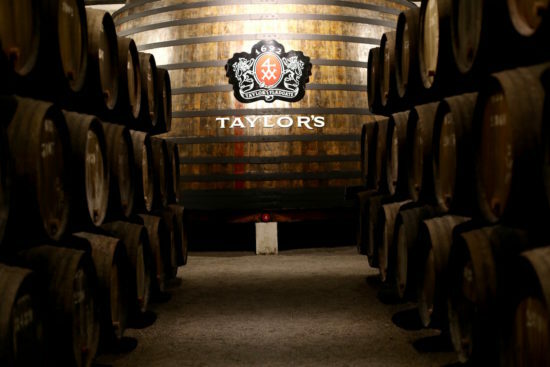 Taylor’s is one of the biggest names in the world of port wines. This port house has three brands: Taylor, Croft, and Fonseca. The latter has a biological version: the Fonseca terra fine organic port, ruby ​​finest reserve. Tasty, but … I have a preference for an older Tawny Port. It is less dominant, sweet, and with more character. 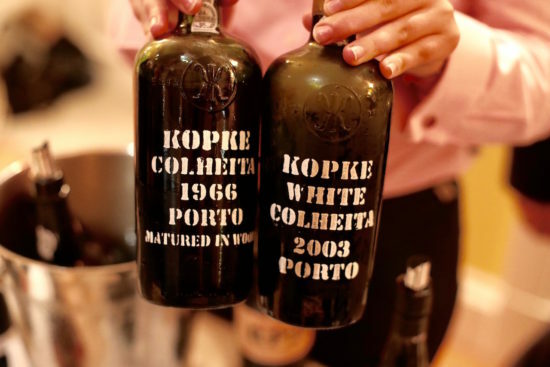 I can recommend you the white port of Kopke. And what do you think of the Kopke Colheita 1966? 50 years old. No less! Which is in one word delicious. The price tag is around € 150 per bottle. Or rather this 40-year-old Vasques de Carvalho? Have you tasted delicious port? Share your tip in the comment section below. More Portugal? 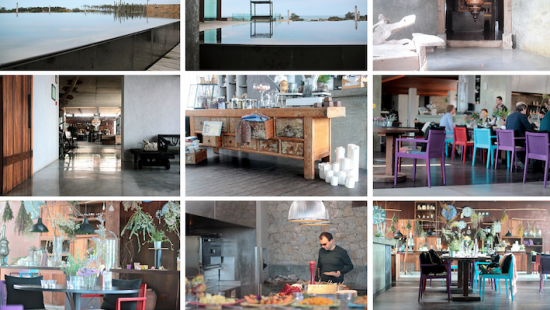 Check Lisbon, Alentejo, Center of Portugal and Madeira.